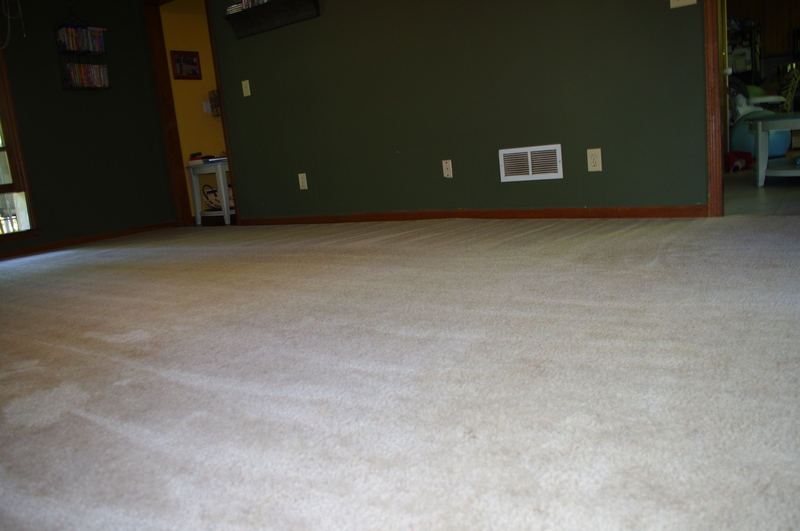 I’m going to share with you my carpet cleaning tips and tricks. Bear in mind, my carpet is cheap and awful. There isn’t much I can do to make it worse than it already is. Also, using anything other than the carpet cleaner made by your steam cleaner manufacturer voids the warranty. But if you want clean carpets, their stuff just won’t work. So, you can either void the warranty and have clean carpets. Or follow their rules and still have stained ugly carpet. 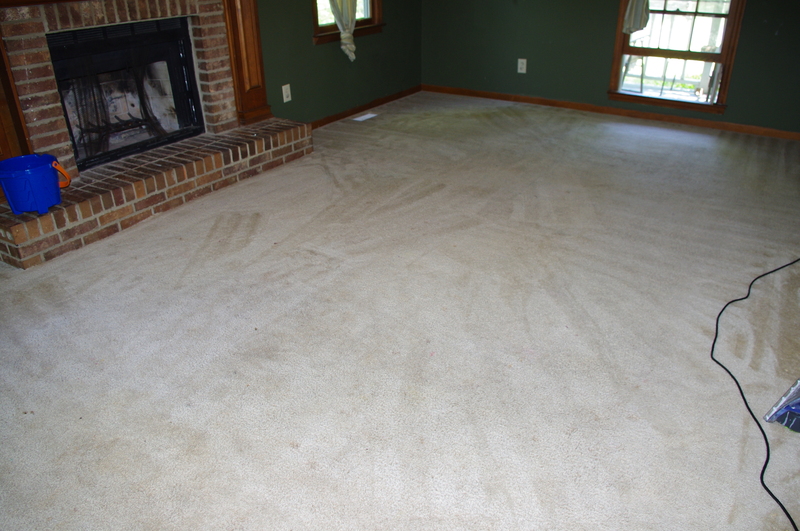 Step 1: Clean you carpet with your steam cleaner with one scoop of OxiClean in the hot water. Do not use off brand OxiClean. Only use the real stuff. Believe me. The cheap version leaves a white residue on stuff. Plus it smells weird. So good stuff only. 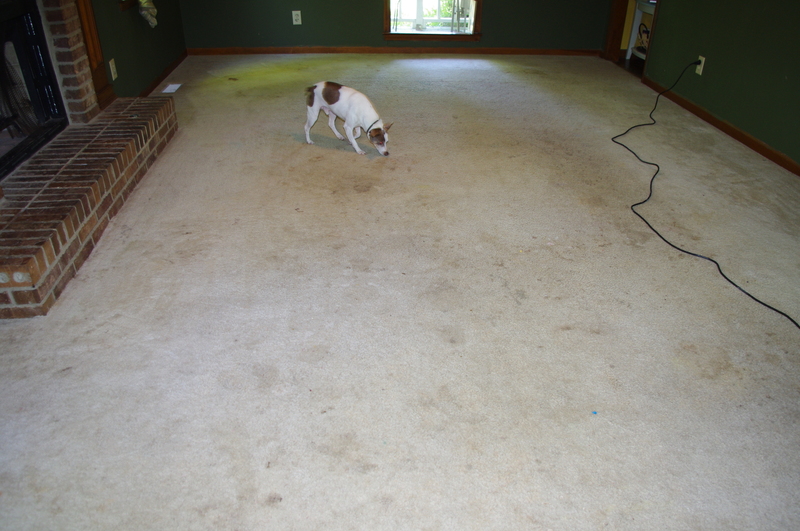 And when I say “clean your carpet” know I refilled my steam cleaner 6 times to get step 1 done. Tip: Don’t forget your shoes are wet when you step from the carpet to your linoleum/hard woods to dump and refill. You’ll get hurt. Step 2: Get a bucket of soapy water and a scrub brush (I use some cheap dish scrubber I got at Dollar General the one time I was in that store.) and scrub the spots that didn’t come up. Today, I had several spots of chocolate. Why not scrub first? 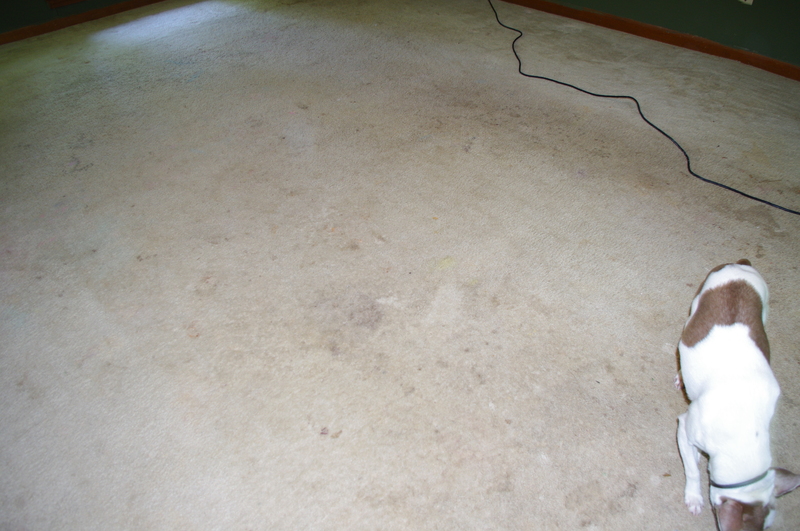 Well, over half of the “stains” on the carpet will come up with the steam cleaner, as you can see. So, saving the spot scrubbing cuts down on the number of spots you scrub. Don’t be afraid to get the carpet wet and soapy. 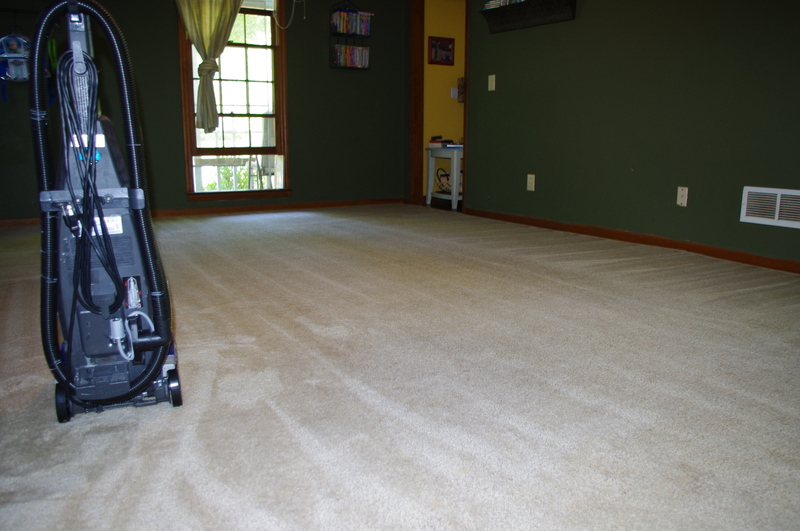 Step 3: Rinse your carpet with the steam cleaner. I rinse one time with just hot water in the cleaner. Then I go over it a second time with a few shakes of tea tree oil in the water in the steam cleaner. Tea tree oil is a natural anti-bacterial. Since I have a crawling baby and a toddler who often eats off the floor, I like feeling like my carpets actually are clean, not just look clean. Plus, the tea tree oil makes the carpet smell really great. So, if you’re keeping count, that is 8 times I have filled up the steam cleaner. And yes, a couple hours of work. I didn’t claim it was easy. Just awesome.